Reply, entirely on diet, 'For Miss [Jane'] Maxwell of Carriden'. 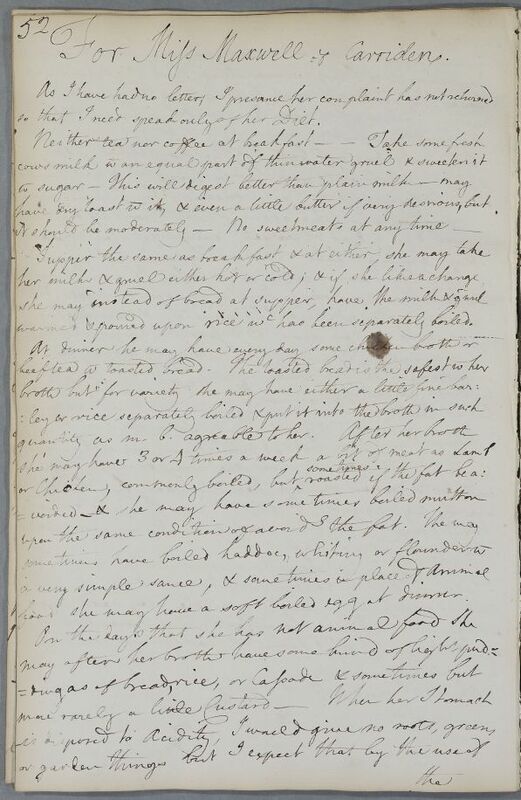 Summary Reply, entirely on diet, 'For Miss [Jane'] Maxwell of Carriden'. 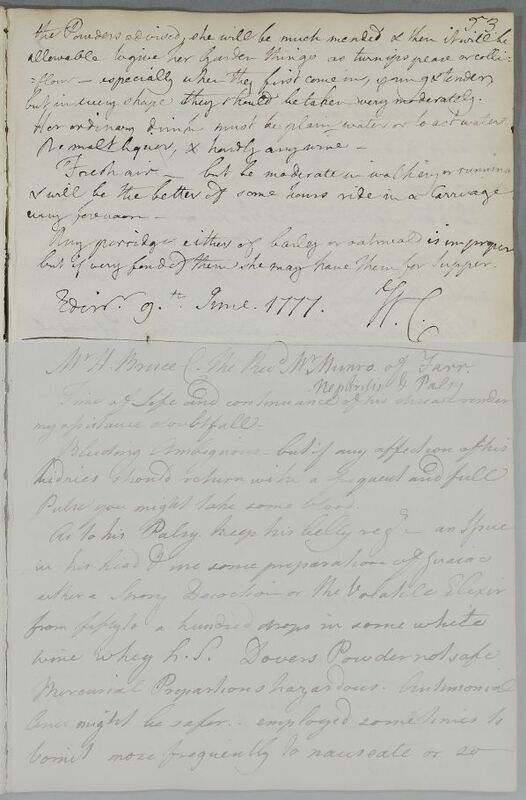 Case of Miss Jane Maxwell of Carriden, who Cullen has visited in person and who is slowly recovering though has little appetite; mention of 'fits' may imply a fever. For Miss Maxwell of Carriden. so that I need speak only of her Diet. warmed & poured upon rice which has been separately boiled. food she may have a soft boiled egg at dinner. but in every shape they should be taken very moderately. but if very fond of them she may have them for supper. 1: Witten in error for "she". warmed & poured upon rice wc has been separately boiled.